The only thing that the 40 or 50-strong audience agreed on when it was over was that they were more confused about statins than when it started. I certainly was and I’m fairly up to speed with the issues. What this tells you is how absurdly complicated the issue has become, which in turn raises questions about the best way to assess treatments. Evidence based medicine based on RCT’s (randomised controlled trials) is supposed to provide scientifically sound answers to basic questions such as: Should I take it? What are the risks? But if there is still strong disagreement about the evidence base for the most widely used and trialled drug in history after 20 years that prompts another question. Has the evidence based medicine project run out of steam? By my count these were at least six questions hanging in the air during the buffet supper afterwards. Is it actually worth bringing down cholesterol? Does eating fat raise cholesterol and so raise the risk of heart disease? Does lowering cholesterol benefit people who haven’t had a heart attack? Does lowering cholesterol benefit women at all? Do the RCTs give you reliable information about side effects? Can the results of commercially funded trials be trusted? The confusion was reflected in the motion of the debate: “Bringing down cholesterol: are statins the only answer?” The first part assumes that it is worth lowering cholesterol, when that is at the heart of the debate. The second seems to suggest there might be better ways of doing it. What’s interesting here is that while other drugs lower cholesterol, none have been shown to cut the rate of heart disease. In other words, could statins be doing something else to benefit some people and the cholesterol lowering is just a side-effect? I consider the most important development in the long running statin disagreement are the recent revelations that the main statin research body – the CTT in Oxford that has been producing favourable analyses for twenty years – has received hundreds of millions of pounds of drug company funding. Also that it hasn’t allowed any independent researchers to see the raw drug company data its researchers rely on. Both these fact were effectively secret until a few months ago and raise major doubts about their reliability. 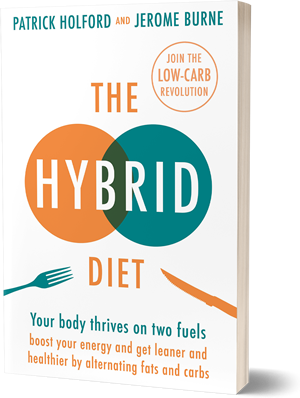 This issue was efficiently summarised by cardiologist Dr Aseem Malhotra, Associate to the Academy of Medical Royal Societies who is a newly declared statin sceptic and eloquent critic of the long held belief that saturated fat raises the risk of heart disease. As far as I could tell the two Proposers, supporting statin use, essentially ignored these points. One, a cardiologist, gave a back-to-basics lecture on why RCT’s (the sort paid for by drug companies) are the best source of evidence, but by the end agreed that it was likely that cholesterol lowering wasn’t why statins cut heart attack risk in some people. The other, an expert in lipids (fats) asserted that there was no need to modify the 40 year old establishment position on the dangers of saturated fat. I was reminded of Saddam Hussein’s insanely optimistic PR spokesman in the 2nd Gulf War. A bar chart listing – in order of importance – 26 factors that contribute to heart disease risk including: having had a heart attack, smoking, not taking exercise, salt in your urine, your height, and vitamin C levels. All have a bigger impact on heart disease risk than “bad” LDL cholesterol. So why bother? A graph showing that women are healthier and have a lower risk of heart disease as their cholesterol rises from 5 mmol/L – supposedly the highest it should go. See also points 9 and 10. If raised cholesterol makes a major contribution to heart attack risk the level in the blood of people arriving in hospital with a heart attack should, on average, be higher than the national average. In fact it’s not. This study found hospital patients were just over 100 (American measurement) vs 120 in the general population. Benefit of lowering? If high cholesterol is deadly then people with a genetically very high level (famililial hypercholesterolemia or FH) should suffer a lot of heart attacks. One study in 1966 and another in 2001 found they didn’t. As 4. A chart compares rates of blood pressure, smoking, saturated fat intake and cholesterol levels for Russia and Japan. In each case they are almost equal. However deaths from heart disease are wildly different – 15 for Japan vs 267 for Russia. A chart, making the same point as 5, has the saturated fat intake, deaths from heart disease and cholesterol levels for several regions that border Russia and in Europe. Georgia has the lowest fat intake but the highest number of deaths. France has the highest fat consumption and the lowest number of deaths. A chart based on data from the WHO plots cholesterol levels in woman against rate of deaths from heart disease, making the same point as 2. It shows that as cholesterol levels rise, the rate of heart disease falls. Women fail to benefit from low cholesterol according to a paper published in 2004. A fifteen year study gathered details about the height, weight, cholesterol etc. from over 67,000 men and 82,000 women over 15. For a woman, having low cholesterol was associated with death from cancer, liver disease and mental disease. Lowering cholesterol could be harmful. One of the reasons for our confusion after the debate and disagreements between experts is that the statistics involved in the big analyses put out by the CTT in particular are very complicated. So if there is a mistake, deliberate or otherwise it can often be missed even by specialists. I was recently send a blog written by an eminent statin critic Professor David Newman, director of clinical research at Mt. Sinai School of Medicine in New York that claimed there was a major fudge in a paper from CTT – the body we now know gets a large proportion of its funding from drug companies. Link to his post Newman told me that no one had picked up on his extraordinary find. It is very relevant to the statin debate in general because the CTT’s research played a large part in the recent decision by NICE to double the number of healthy people eligible for a statin prescription. If Newman’s analysis of how the CTT twisted that data to get a favourable result is correct, NICE should have a serious rethink. Newman’s blog appeared in 2012 in response to a Lancet paper which claimed that the evidence it had found for the benefits of lowering cholesterol in healthy people was so strong that the guidelines should be changed. As indeed they were. Newman’s critique reveals how they got that result. Instead of following standard evidence based procedure and comparing what happened to those getting a drug with those on the placebo, CTT did something almost unbelievable. They based their “benefit” conclusion on people who responded exceptionally well to the drug and lowered their LDL Cholesterol 1 mmol/L or 40 points in US terms. “Patients whose cholesterol drops 40 points are different than others, and not just because their body had an ideal response to the drug,” wrote Newman. Wow! Talk about cherry picking. If every trial was allowed to do that there would hardly be any drug or any non-drug treatment that couldn’t get a licence. Just select out the people who do best and claim that everyone will respond in the same way. “Perhaps never has a statistical deception been so cleverly buried, in plain sight,” Newman continues. “The study tells us little or nothing about the benefits someone might expect if they take a statin.” No wonder we are all confused. A quick Google search tells me that people with FH do have more heart disease than other people. What studies are you talking about? Taken together, what do studies about FH and heart disease show? Aren’t you cherry-picking here? Thanks for the comment as it allows me to clarify this point. What I wrote didn’t summarise Dr Kendrick’s presentation accurately. This is what he wrote in response to your point. “A population can be more likely to die of heart disease and still live as long, or longer, than the surrounding population. You can die of other things than heart disease. I did not say people with FH did not have a higher rate of CHD. I just said that they lived as long as people without FH. Wow, that’s very cool data. Thank you. Indeed. Thanks for spotting it. Will correct. That is a bit of a stretch, can’t do it off top of the head but Malcolm might be able to. He’s pretty busy but does response to emails – anyone else with a good grip on trials able to answer this?? Thanks – appreciate it. I remember some years ago when claims about the benefits of a nutritional appraoch to chronic disorders were lumped with CAM and other forms of “evidence-free snake oil quackery” that the sceptical Twitter activists warned that allowing or encouraging this kind of mumbo-jumbo was leading us down the path of endarkenment. Such claims involved a clear rejection of the scientific method and of the many benefits that the enlightenment had brought and soon we would be forced to rely on a faith based inefective medieval medical system that killed more than it cured. The steadfast refusal of the current nutrition establishment to engage with the growing chorus of criticism of the low fat dogma has a distinct faith based feel about it. BBC programs on science often have quotes from scientists extolling the scientific method (which is obviously a wonderful creation). The essense of it, they explain, is it involves proving yourself wrong. We run experiments to find out more and the best way to do that is to discover we have made a mistake and to learn from it. Such a high minded ideal seems to have escaped the severe experts in Dublin. Can endarkenment be far away?